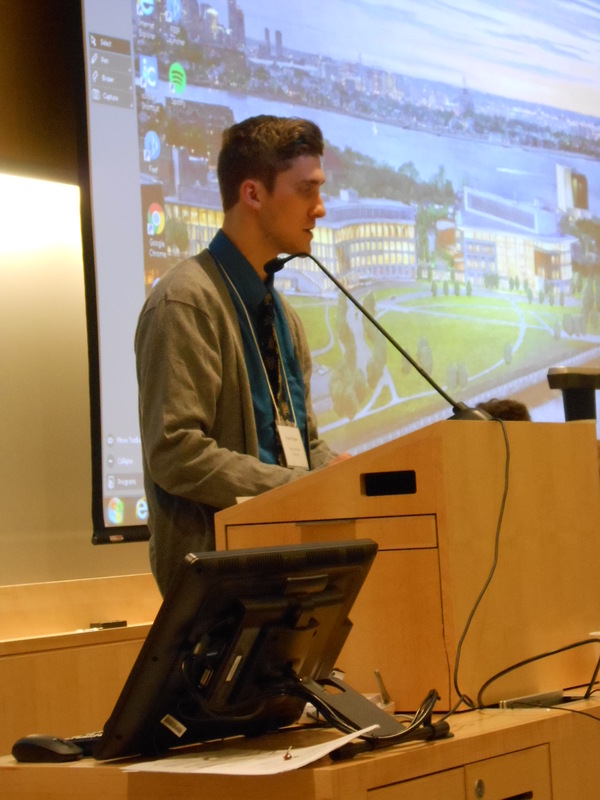 This year, the Undergraduate Shakespeare Conference was held at UMass-Boston, with Dr. Scott Maisano as site coordinator. The theme was “Recreating Shakespeare: New Contexts, New Interpretations, New Performances.” The conference is highly competitive in its selection of presenters, with invitees this year coming from Harvard University, Smith College, Clark University, College of the Holy Cross, Wellesley College, Northeastern University, SUNY-New Paltz, Worcester State University, and UMass-Boston. 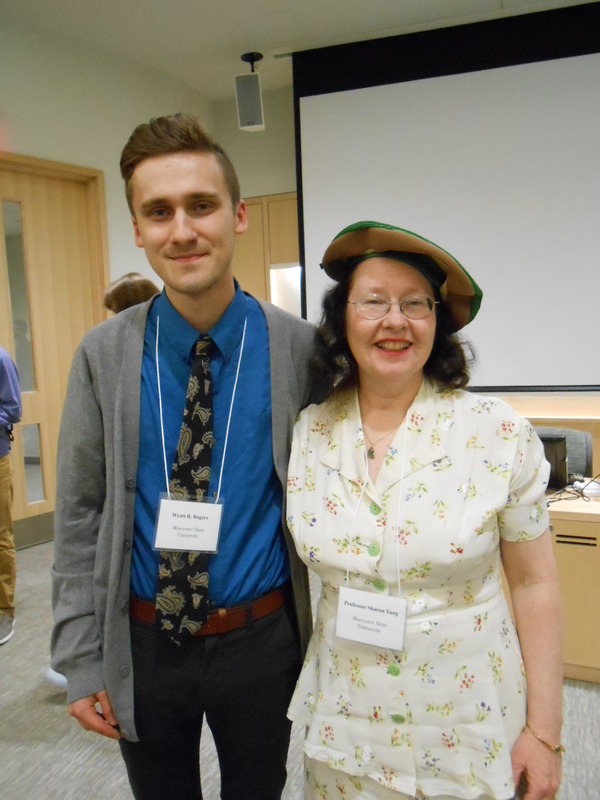 English major Wyatt Rogers represented Worcester State University this year. In the session “Shakes-fear,” he presented his paper “Hamlet and Donnie Darko” as part of a panel that included students from Clark University and UMass Boston. I’m happy to say that Wyatt developed the paper in my Shakespeare course this semester. I enjoyed moderating his session. I also joined Dr. Christine Coch from College of the Holy Cross as a judge for all the A session panels. We were also fortunate to enjoy Dr. Linda McJannet as plenary speaker with her address : “Shakespeare in Motion: Physical Theatre in the New Millennium.” Dr. McJannet’s talk revealed to us the wonderful – and actually amazing – work done in experimental theatre where actors use their bodies in acrobatics and dance to create setting and mood, as well as to convey the words, even interpret the meaning of dialogue.